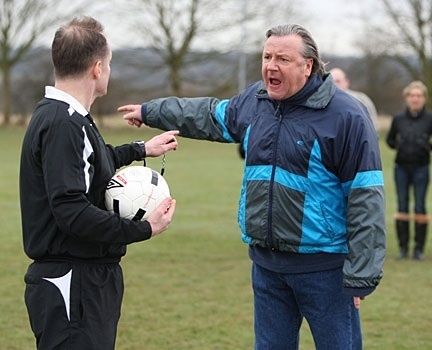 Is behaviour getting worse in grassroots football? Football officials in Wales are concerned about an increase in bad behaviour and violent incidents in amateur football matches. The Port Talbot and District League was suspended for the last two weekends after reported flare-ups in under-12, 14 and 16 age-group matches, while the South Wales Football Association (SWFA), to whom the league is affiliated, has reported an increase in poor behaviour in the last year. SWFA secretary John Phillips said: "The discipline, especially in junior football, is getting worse. "There's certainly a lot more disciplinary reports coming in. In senior football we are getting a lot of problems. Our discipline at matches this season is worse than what it was last year. In the last month alone, the SWFA have handed banned one player for 12 months and suspended another for the remainder of this season on misconduct charges. A further 18 players have been banned for between four and 12 games with fines of up to £100. Phillips added: "If we knew what the reason was, then we could deal with it better. It's all varied. The majority [of problems] are coming from spectators. I hope giving people long suspensions gives them the opportunity to reflect on the situation. Meanwhile police in Swansea are appealing for witnesses over an alleged "serious" assault on a player this month. The incident was reported to have happened in a reserve team fixture between Gowerton and Coopers Arms on Saturday 5 November. Carl Shackley of South Wales Police said: "This assault can only described as totally unprovoked, which has left a young man with serious facial injuries for which he has had to undergo hospital treatment. "There were a number of spectators at the game many of whom would have witnessed the assault. I would urge these people to come forward." A 24 year old man arrested in connection with the incident has been released on bail. This worrying news from Welsh football follows on from concerning figures from the English game last season. Football Association figures reported by BBC Radio 5 Live in March revealed that there were 330 assaults on referees by amateur footballers in England from the beginning of last season until the end of February, an increase of 27% on the previous year. The FA expressed “concern” at the figures, but insisted that its Respect campaign - which is aims to improve levels of behaviour throughout the game - was working, leading to an increase in referee recruitment, fewer officials dropping out of the game and an increase in cautions for dissent. Have your say: Is violence in grassroots football a concern? As ever, we want to hear about your experience out there at the sharp end of grassroots football. Have you noticed any change in behaviour over recent years? Is violence on or around the field of play a serious concern for the amateur game? Whatever part of the UK you are from, we want to get your thoughts on this important issue for our game, so please have your say in our comments section below. Also, don't forget to cast your vote in our latest Club Website poll, which aims to find out how often the beautiful game turns ugly at grassroots level. Poll: Discounting in-game incidents (e.g. bad tackles), have you witnessed any violence at your football matches in the last 12 months? Cast your vote on your club/league website (or our demo site) now!